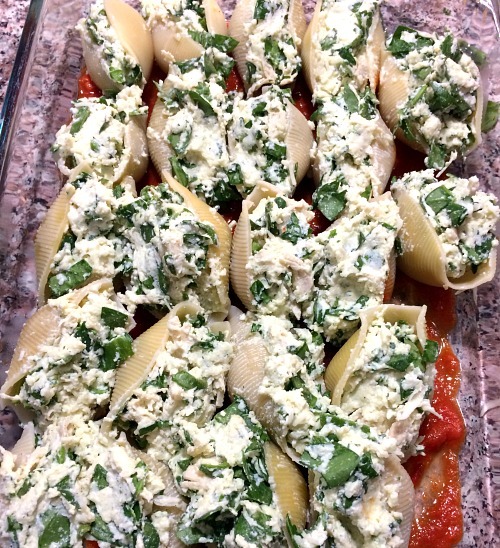 These Chicken and Spinach Stuffed Shells are made with shredded chicken and fresh spinach in an Italian cheese blend. They are perfect for Sunday dinner or a party. 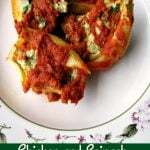 I’ll be the first to admit that making stuffed shells is time consuming, but totally worth it. 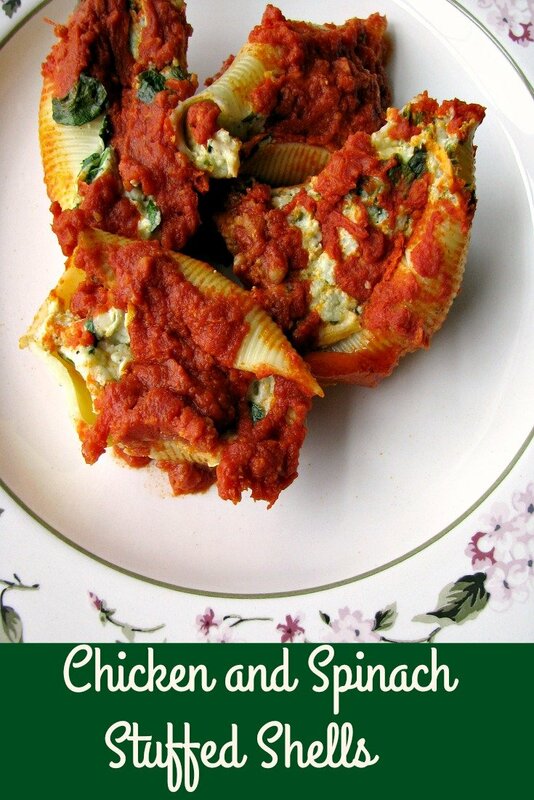 This Chicken and Spinach Stuffed Shells recipe is great for dinner on the weekends or you can make it ahead of time and freeze it. You can even prepare it on the weekend for during the week. It bakes in 35 minutes freshly made or about 55 minutes from frozen. 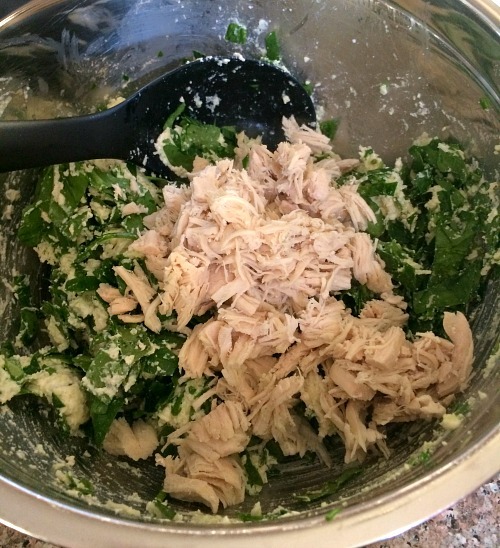 How long can you keep uncooked Chicken and Spinach Stuffed Shells in the refrigerator? Wrap the pan tightly in plastic wrap and store in the refrigerator at 40 degrees or under for up to three days before baking. Cook large pasta shells in salted, boiling water for the time stated on the package. Drain and rinse under cold water, set aside. 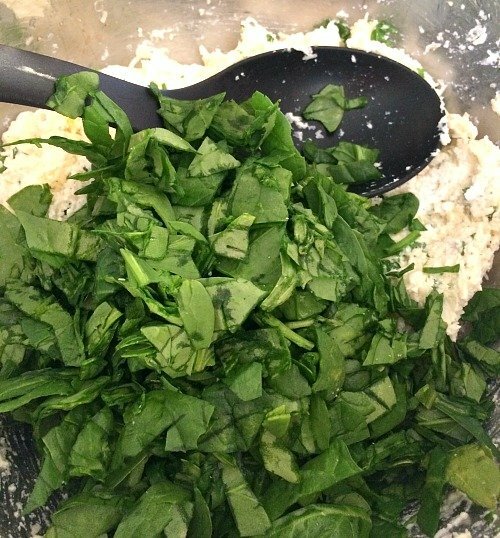 In a medium mixing bowl, combine ricotta cheese, Italian cheese blend, Parmesan, parsley, garlic powder, onion powder, salt, pepper, and a beaten egg until well mixed. 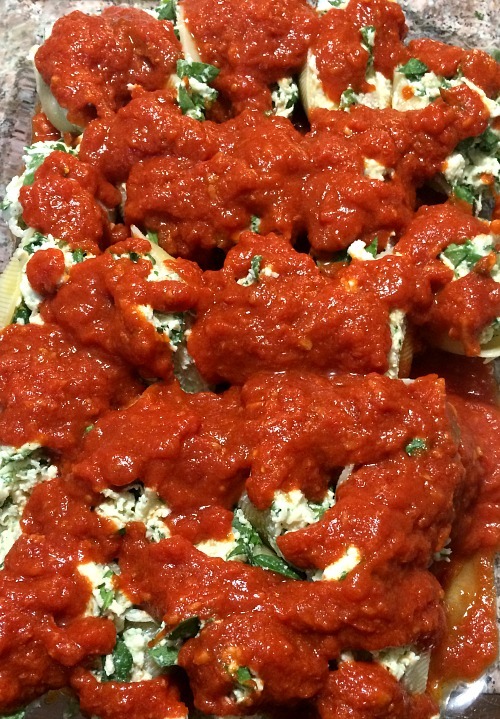 Preheat the oven to 375 degrees F. Pour a thin layer of pasta sauce in the bottom of a large baking dish. Stuff each shell evenly with the mixture, squeezing the shell slightly to hold in the mixture. Place each shell in the baking dish. Top the shells evenly with sauce. Bake in the preheated oven for 35 minutes, or until hot and bubbling. 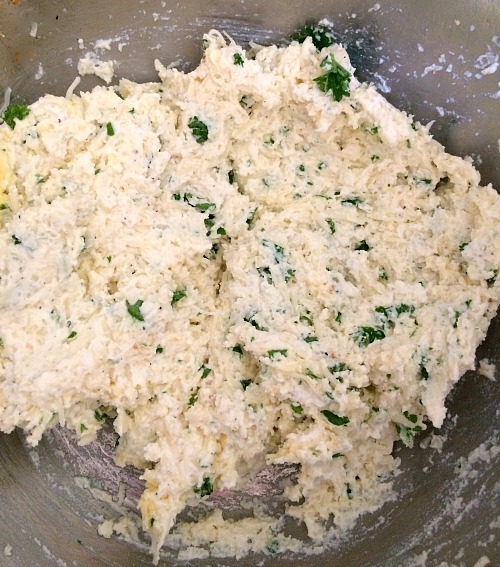 In a medium mixing bowl, combine ricotta cheese, Italian cheese blend, Parmesan, parsley, garlic powder, onion powder, salt, pepper, and beaten egg until well mixed. 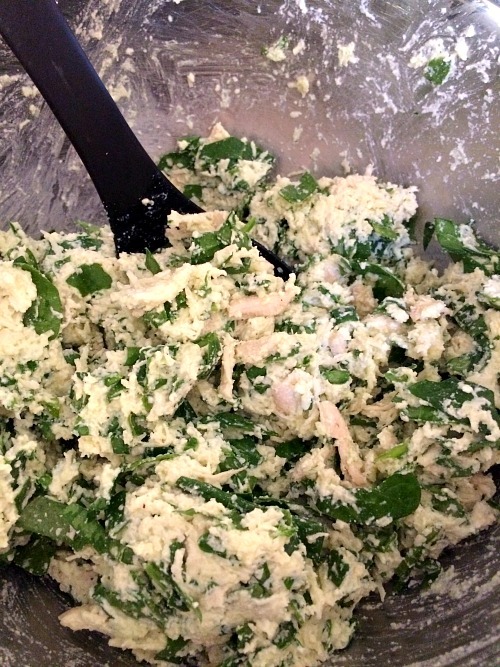 Add fresh chopped spinach to the ricotta mixture, followed by shredded chicken. Stir well.